Don't die without exploring what your body is capable of. 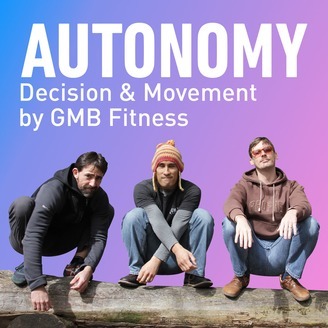 Ryan, Andy, and Jarlo from GMB will teach you how to play your own game and create true physical autonomy to do more of what matters. Stick this in your earhole if you're into getting solid fitness advice with a side of terrible jokes. Do you find it hard to make good decisions and spend your time wisely? Whether it’s a matter of perfectionism, procrastination or just a general state of indecision, spending too much time trying to decide what to do and when leads to wasted time. If you’re having a hard time being efficient at work or even finding a set time to get your workout in, today’s podcast can help you create a better routine. Today’s guest is Shane Parrish of Farnam Street. Farnam Street is an online intellectual hub geared toward helping people make better decisions. Shane helps people understand how the world works and how to more effectively make decisions that matter. 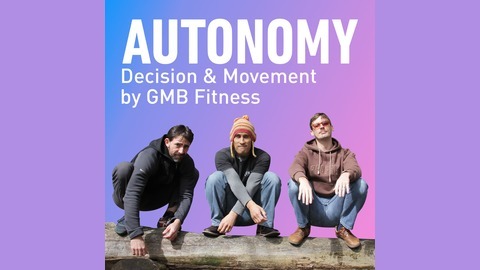 2:30: Why making decisions in the morning, before unhealthy food choices are already made, can help you reach your goals. 3:30: Shane’s framework for making better decisions. 6:00: Mental models that help many people with productivity. 10:00: Why to-do lists are ineffective, and what a better alternative is. 12:30: How to decide which of the mental models will be most effective for you. 16:30: How taking the time to evaluate and make good decisions can save you time in the long run. 21:20: How mentally arguing both “sides” of a decision can help you make better choices. 23:20: How to start taking steps toward making better decisions. 29:10: Shane’s favorite quotes and how they apply to mental models.